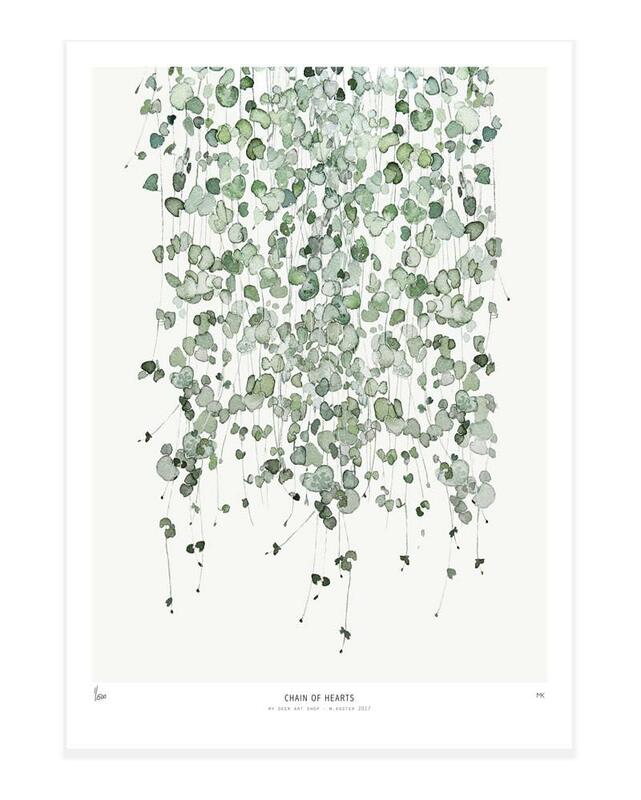 Chain of hearts (Ceropegia Woodiii) is one of the new series of unframed art prints of watercolours by artist M. Koster and supplied by My Deer Art of Netherlands. Limited edition of 500, signed by artist with handwritten numbering. Material: 250g fine art paper. Care: The art print is sold unframed and carefully packed and shipped in a cardboard tube. Fits perfectly into Ikea’s RIBBA frame.